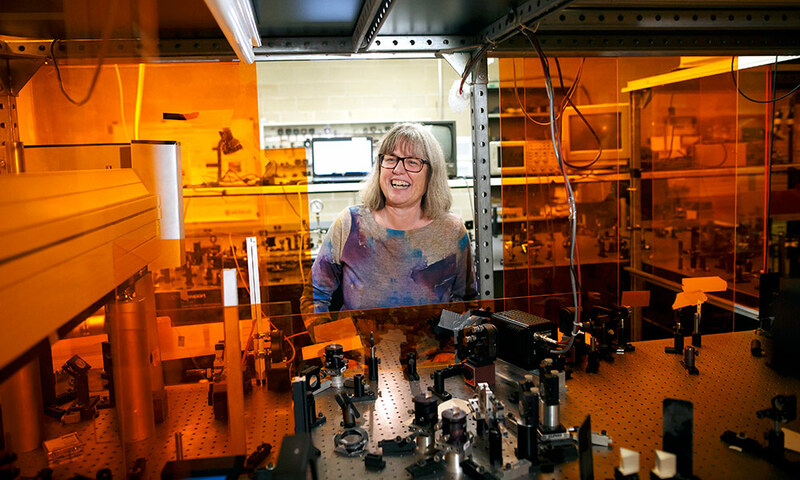 One of the biggest stories of the year was the selection of Donna Strickland ’89 (PhD) and Gerard Mourou for the Nobel Prize in Physics for their work at the Laboratory of Laser Energetics to devise a better way to apply lasers in research, medicine, and everyday life. 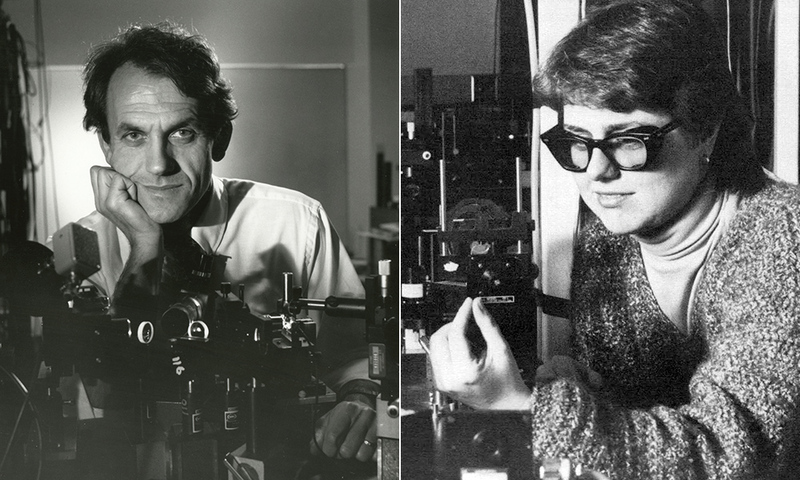 Gérard Mourou, left, photographed in Rochester in 1987, and Donna Strickland ’89 (PhD), in her lab in Rochester in 1985. 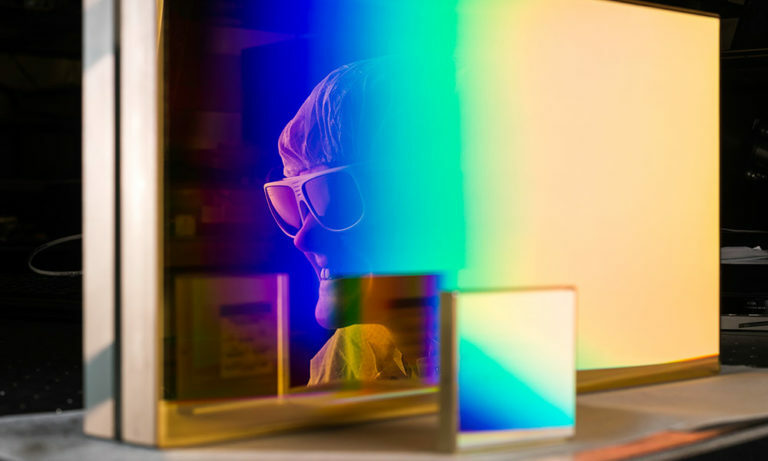 In addition to their Nobel noteworthiness, Rochester researchers continue to develop new ways to use lasers in 2018. Because frankly, we’re big on lasers. Ignacio Franco, assistant professor of chemistry and physics, predicted that laser pulses could generate ultrafast electrical currents. In theory. Now he believes he can explain exactly how and why actual experiments to create these currents have succeeded. 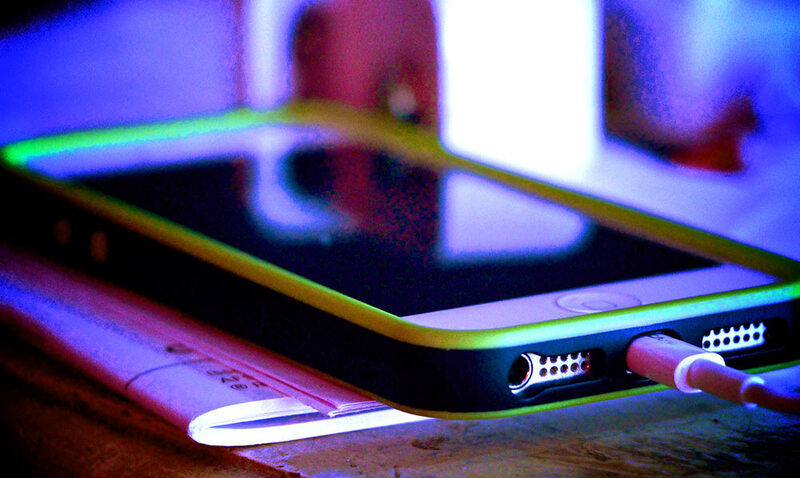 Generating electrical currents along tiny, nanoscale, electrical circuits. Most objects react in predictable ways when force is applied to them—unless they have “negative mass.” Then they react exactly opposite from what you would expect. Rochester’s Laboratory for Laser Energetics (LLE), the largest university-based laser facility in the world, is partnering with eight other high-intensity laser facilities to form a new national research network called LaserNetUS, which will provide US scientists increased access to high-intensity, ultrafast lasers like the OMEGA EP at the LLE. 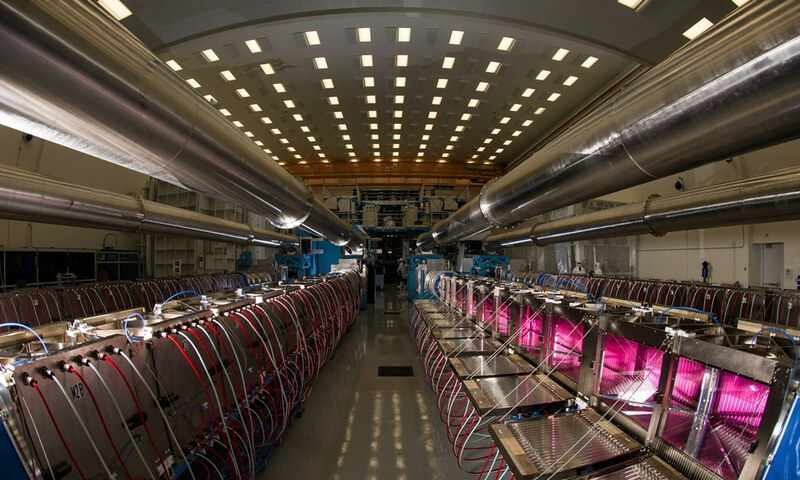 The main amplifiers at the OMEGA EP laser at the University of Rochester’s Laboratory for Laser Energetics. If you want to get the greatest benefit from a beam of light—whether to detect a distant planet or to remedy an aberration in the human eye—you need to be able to measure it. 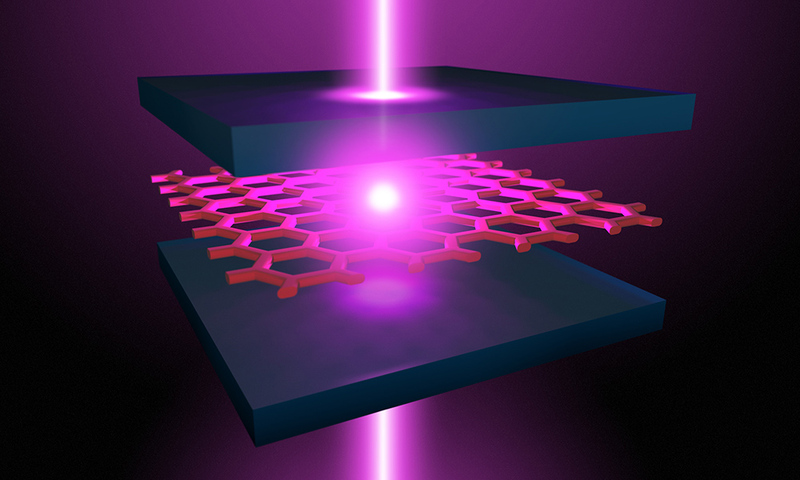 Now professor of optics Chunlei Guo and a team of Rochester research team have devised a much simpler way to measure beams of light—even powerful, superfast pulsed laser beams that require very complicated devices to characterize their properties. 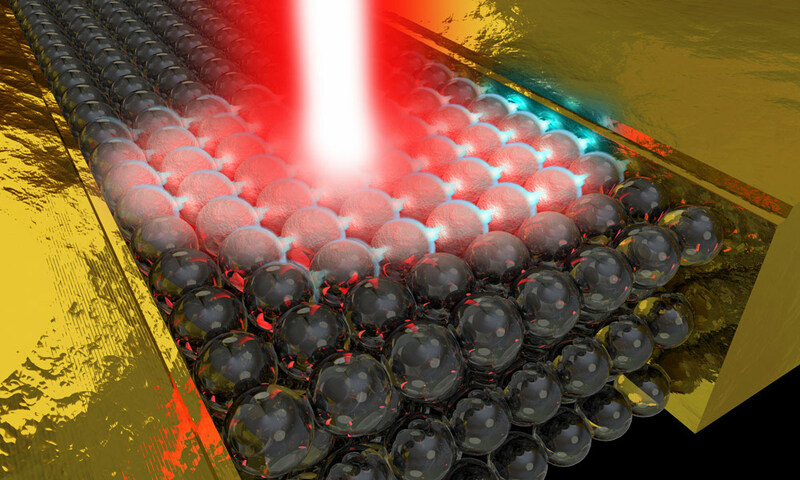 It’s a “revolutionary step forward,” says Guo, and could render traditional instruments for measuring light beams obsolete. Donna Strickland ’89 (PhD) and Gérard Mourou received the 2018 Nobel Prize in Physics for work to develop chirped pulse amplification (CPA), research they undertook in the 1980s at the University of Rochester’s Laboratory for Laser Energetics (LLE). Today, members of the LLE use chirped pulse amplification in their own research to develop the next generation high-power lasers and to better understand the fundamentals of high-energy-density physics. 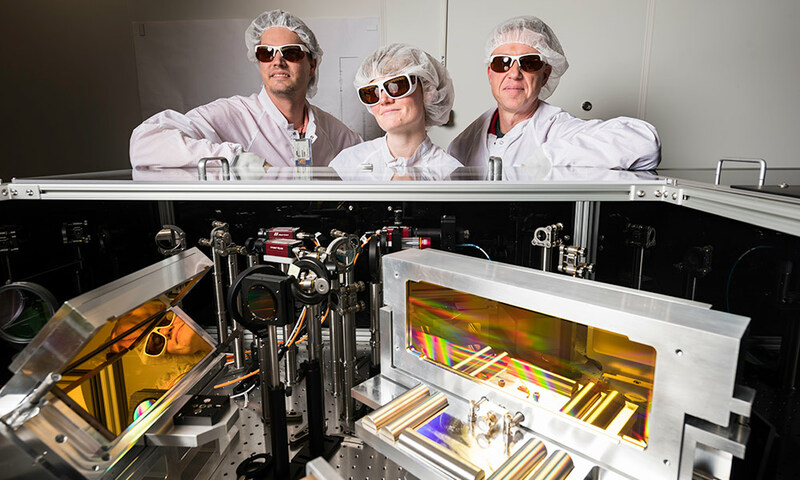 Members of the LLE, from left, Dustin Froula, senior scientist and assistant professor of physics; his PhD student Sara Bucht; and Jake Bromage, senior scientist and associate professor of optics. University photographer, J. Adam Fenster picks some of his favorite photos and gives us a behind-the-scenes look at what makes each special.